Ladies and Gents, a bit of a different post for you today that I will aim to keep as short and sweet as possible. Around 9 months ago, late last October to be precise I received a call to tell me a very close friend had been in a car accident and was on life support, the next 5 days were honestly, quite hideous, waiting to see if something would change and he would come off of life support, it was something that was unlikely to happen but something that a group of friends who were about to lose a shining light in their life were going to have to face up to. Taidhg was one of those people in life that you rarely meet, a genuine light that shines brighter than most, I remember meeting him for the first time aged 16 or 17 and being completely struck by his beautiful, positive energy and having some amazingly fun times along with the rest of our group of friends that would end up becoming times I would never forget. This isn't going to be a post about those times or how to deal with losing someone close to you because to be honest I've been through it several times now and I never know how to deal with it and I don't think I'm in a place to advise anyone. This post is going to be about what happened after Taidhg passed that changed a lot of people's lives and made me think about how I want to live my life and hopefully make you think how you want to live your life. There's a few points to this that I want to say but one of the first is one that is said so often but live your life to the fullest, I don't want to sound morbid or full on but we get one chance at this life and no one knows what is going to happen tomorrow, if something makes you happy, do it, embrace it, love it and be happy, ultimately, we're all on this earth working out why we're here but if you find one of those rare things that makes you truly happy, then just go with it and be grateful because some people are still wandering around trying to work out what true happiness is. For me, there were a few things I realised I loved and had lost in the day to day rambling of my life, one was actually spending proper quality time with my friends, I lost touch with a lot of people when I left Ireland despite the fact that we all live so close together but if there are friends that you've lost contact with, then get in touch, it's something I still need to do to be honest and writing this post has made me realise that but it's something I'll be sorting out once this post goes up, the other thing is music, it's the thing that initially drew me to Taidhg and my whole group of friends but something that got lost in my choice to move to the UK and become a professional. Now, all I want is to listen to people play music, real music that comes from the heart and soul. Taidhg was in a band called The Calvinists when he passed away and they recently released an album which while bittersweet, has been an absolute joy to listen to. But, the main reason I wrote this post though is to spread the word of something amazing that Taidhg did which was to become an organ donor and in doing so, he changed the lives of more people than I think we can imagine, he directly impacted 9 people I believe who needed implants but the impact that donation will have had on their family members and friends is something that would be hard to put a figure on. Honestly, I'd never thought about organ donation prior to last October, or, more honestly, I'd thought about it but never thought it would impact me or my friends but thinking about how Taidhg's donation could have impacted so many people completely changed that for me and it's something I now feel truly passionate about. 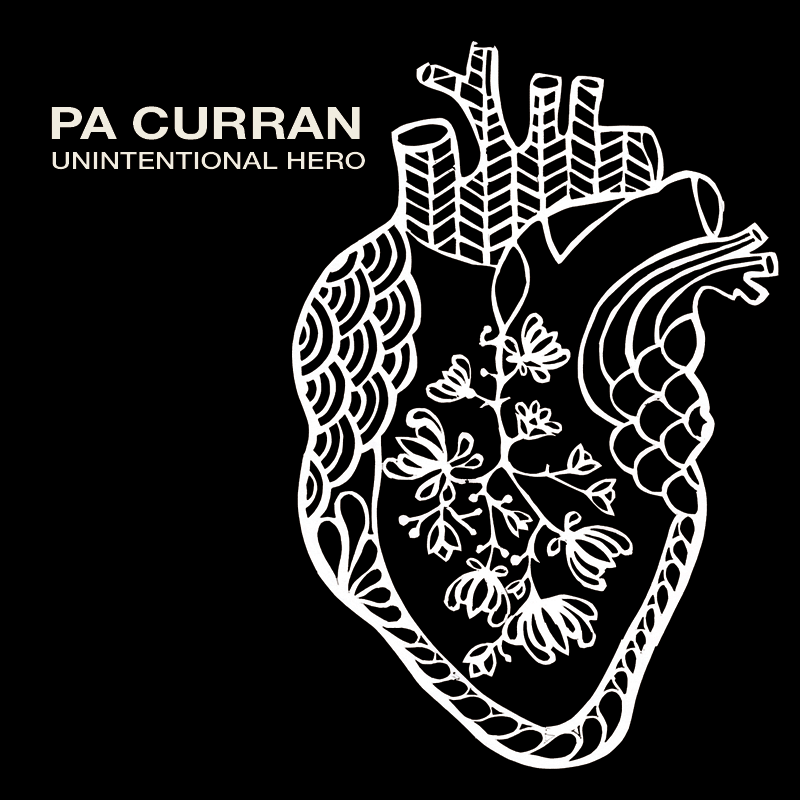 One of Taidhg's closest friends, Pa Curran wrote a song shortly after Taidhg passed away called Unintentional Hero, written about Taidhg and his passing, I've left the link below, but it's one of the most beautiful songs I've ever heard and and I appreciate it means a lot to me because of the fact that I was close to Taidhg and have those memories but the song is bigger than that now and means so much to so many people. I honestly beg you to watch the video, which will be released tomorrow on Pa Curran's YouTube, link below, which features the families of 20 people from Ireland who were Organ Donors, including Taidhg and if you like it, please also check out the link to the iTunes store below where you can buy the single. Ive left links below for both Ireland & the UK. I know this is a very different post to the normal beauty review or recipe that I post and I hope you don't mind but I wanted to do what I can to raise awareness to the song and becoming an organ donor using the little power I have in this crazy internet world. I normally keep this little blog a secret from my normal day to day life but I'm opening it up for this post because it's something I really care about. Please feel free to share, link, RT, Copy, whatever to share this message. 2 comments on "LIFE // Unintentional Hero & Becoming an Organ Donor"
You're right music and friends are so important. Firstly I'd like to say sorry for your loss. Secondly I'd like to say I completley support the message you are putting out. The fact your friend could help others is remarkable, and I don't know why people wouldn't want to become a donor. As somebody who has a long term illness - I've met many friends throughout my hospital stays and through online networking, some of whom are on the waiting lists. I know just how appreciated and life changing simply signing the reguster can have on another persons life and not to mention the lives of their family and friends too. Thank you for this, and I'm tuning into YT now.